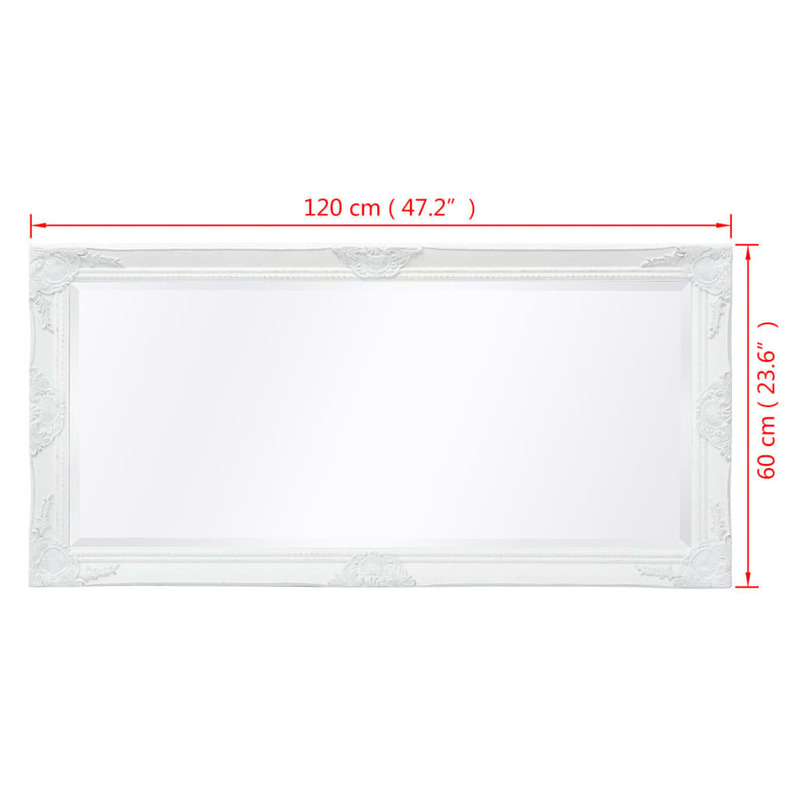 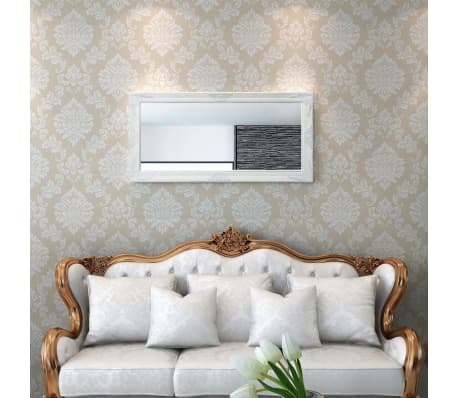 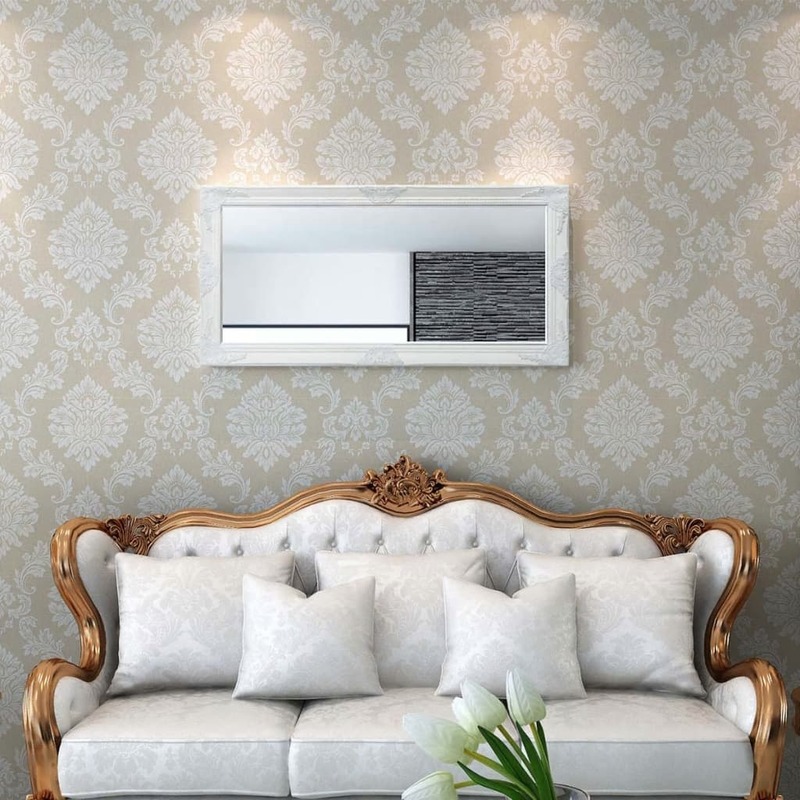 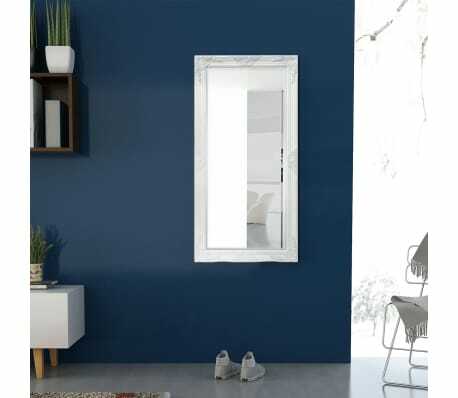 This beautifully designed wall mirror with an ornate frame will create a classic atmosphere in your bathroom, dressing room or bathroom. 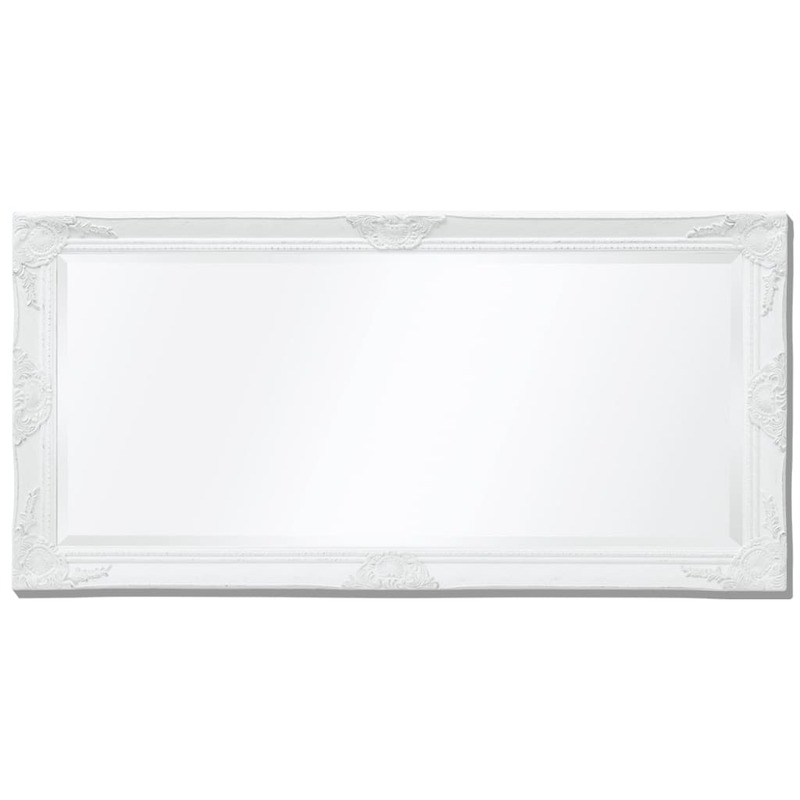 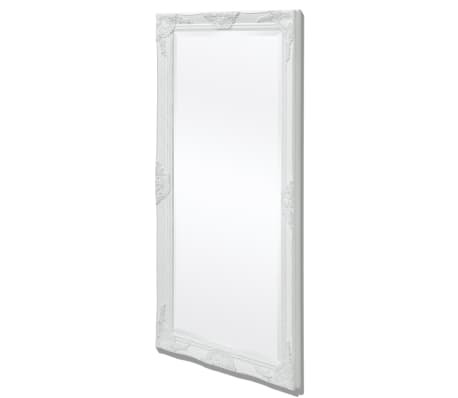 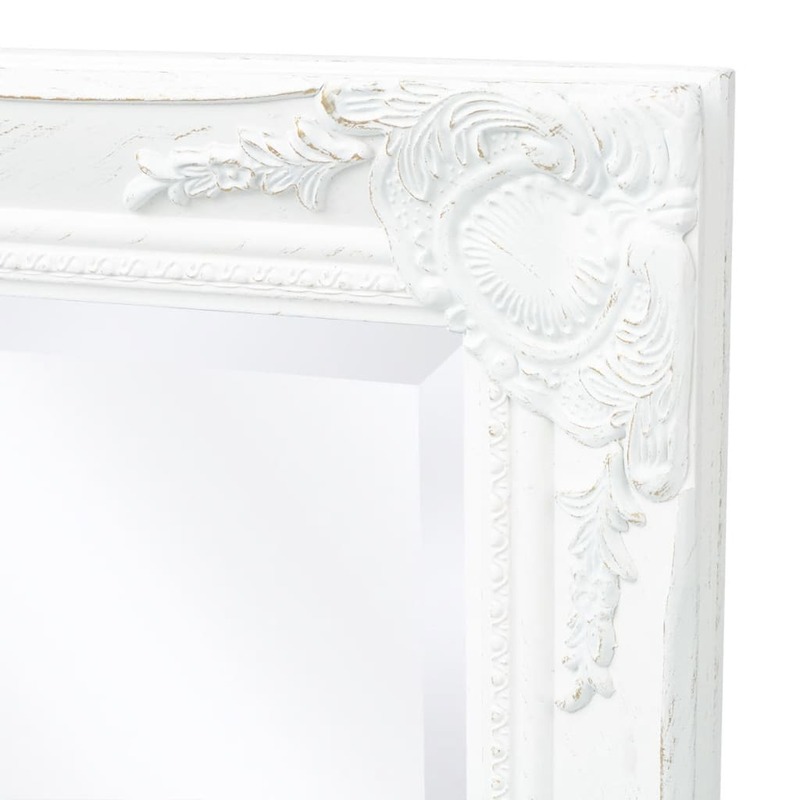 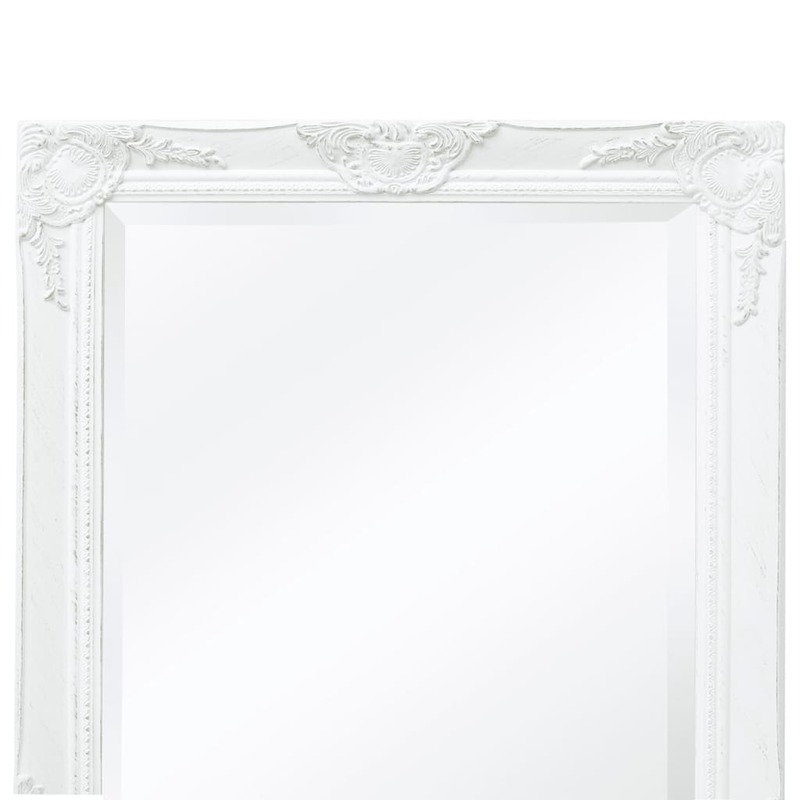 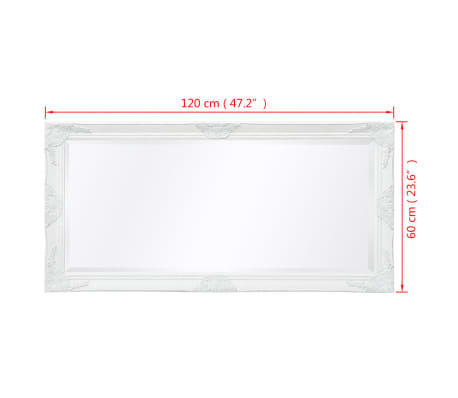 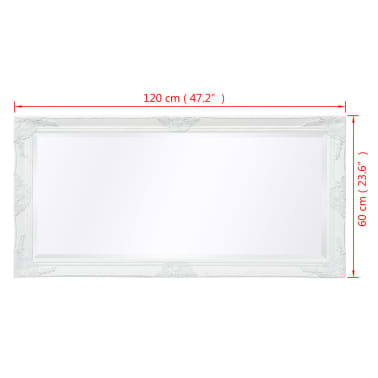 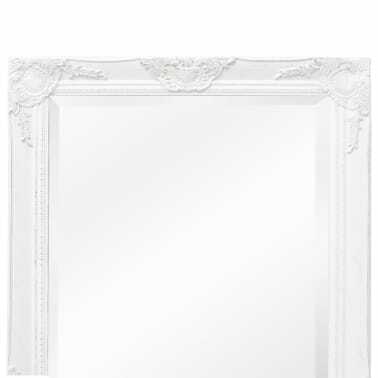 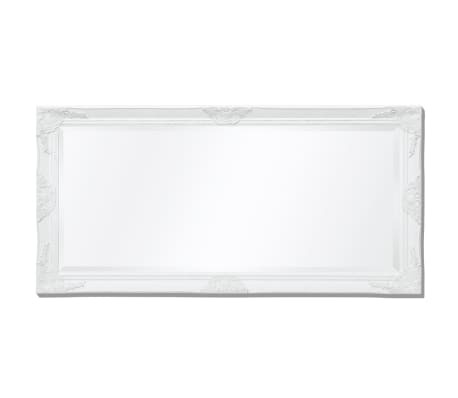 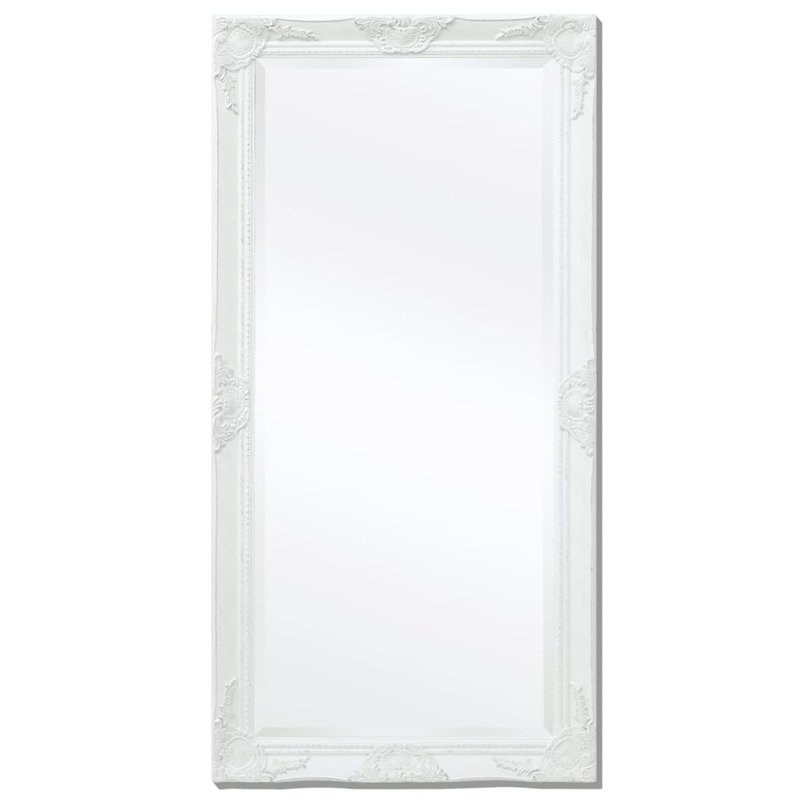 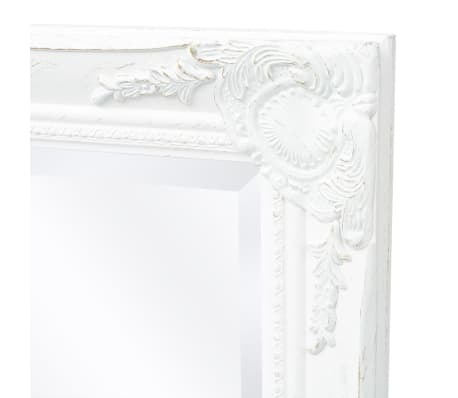 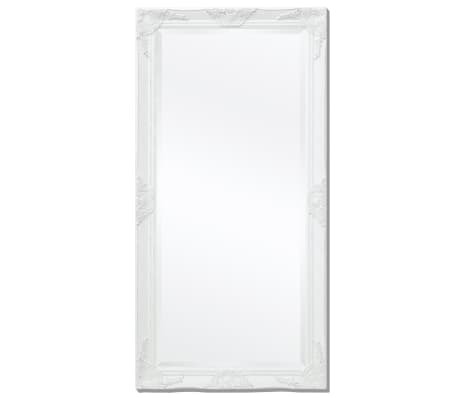 The antique-look mirror has a sturdy wooden frame that has been meticulously crafted in a decorative Baroque pattern. 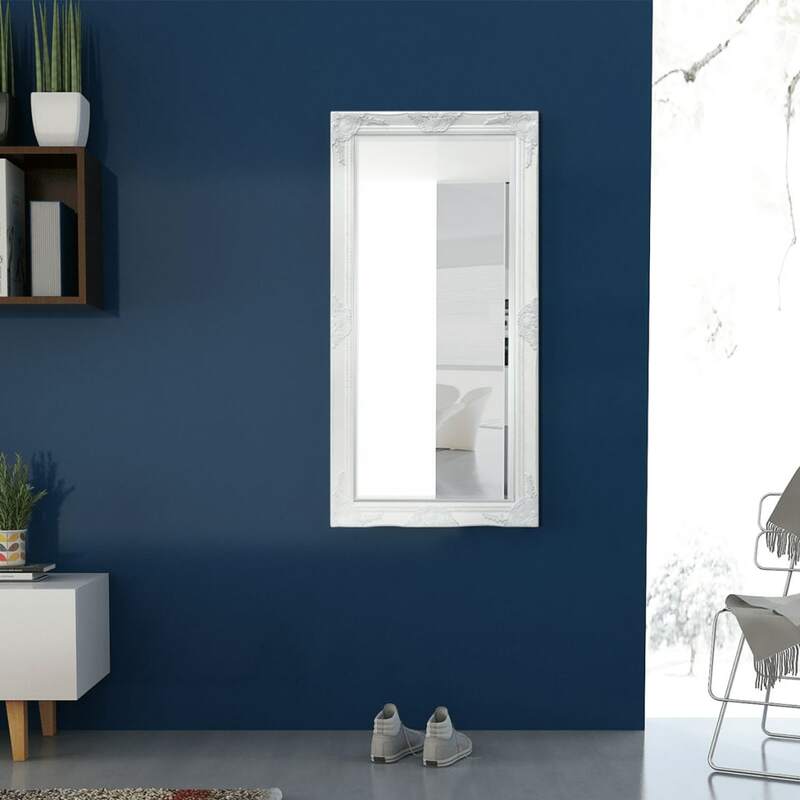 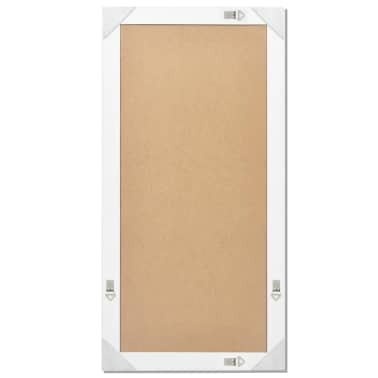 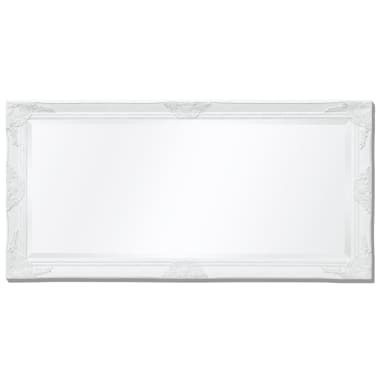 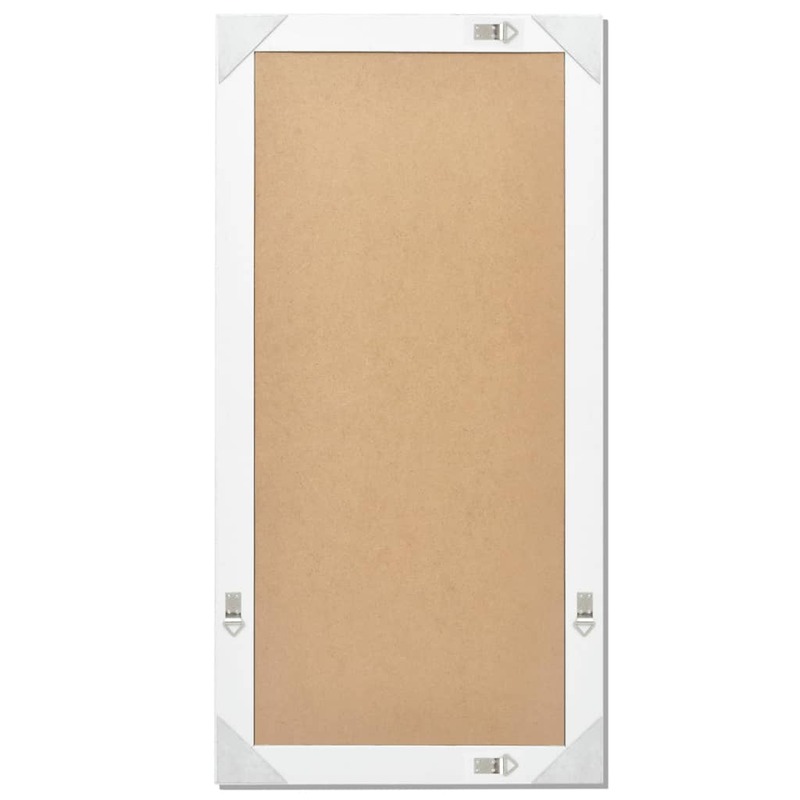 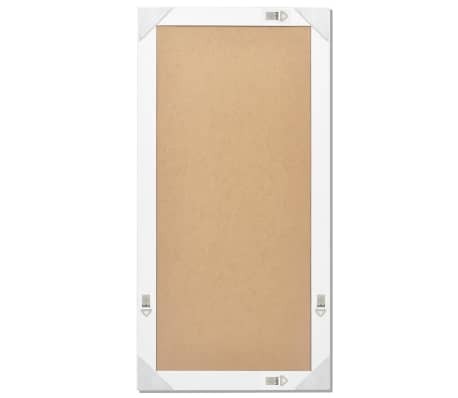 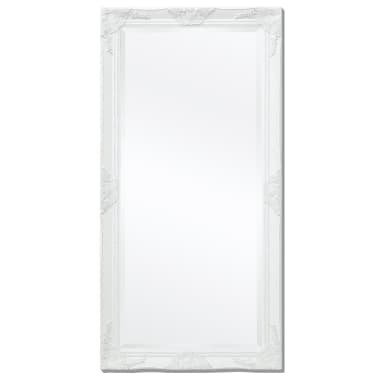 In addition, the beveled edge gives this mirror a unique look. 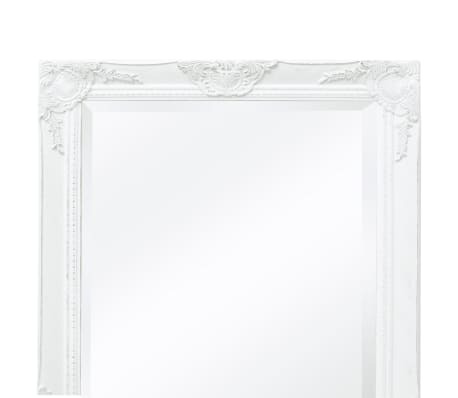 The castle mirror is ready to be wall-mounted thanks to the already installed hooks on the backboard.